How the value of your dry cleaning business can be affected after contamination is found. At the threat of mixing metaphors right out of the gate, I’d like to start this article by referencing a fable we all know; that of the ant and the grasshopper. While the care-free grasshopper chirped away and enjoyed times of plenty, the industrious and hard-working ant busily labored to store food for winter. When readily available food became scarce as winter fell, the grasshopper starved but the clever ants remained well-fed from their stockpiles. I have had the pleasure of meeting and working alongside many dry cleaners throughout my career, and their work ethic and wisdom have consistently impressed me. Without fail, I’ve heard it told by them that the hard work they’ve put into their business is intended to help build-up winter stores for lean times, their retirement, or to pass on to their children. A lot of people refer to this as building a nest egg. Regardless of what you call it, the monetary value of the hard work, blood, sweat, and tears that you’ve invested in your business is held in the potential sales price of your business assets and potentially, your property. During all the years of doing business, the fact that your future nest egg could be potentially devalued by an environmental contamination problem was probably not part of the equation. Decades ago, it didn’t need to be. Back then, when businesses and properties were bought and sold, it wasn’t standard practice to even consider the environmental condition of the land. As such, the value of the sale wasn’t affected. The business owner could cash-in for a fair price and go on to enjoy their retirement. Today, however, nearly every commercial property and business acquisition involves a real estate and environmental due diligence process intended to specifically and thoroughly find out whether environmental contamination has occurred. 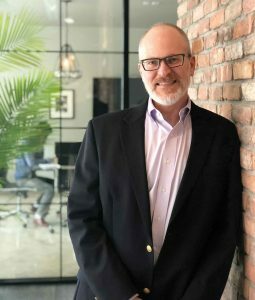 The days of expecting someone to buy your business without determining if they would be buying environmental liability, or your property without finding out if its value has been impacted by contamination, are gone. Don’t let environmental contamination crack your nest egg. Download our questionnaire to review your real estate due diligence situation. Let’s talk for a minute about the environmental assessment process during sales transactions, and then we can go over a couple of things that you can do to help yourself out and minimize the damage to your nest egg when the time to retire comes. For those who may be in the mode of buying business and properties, this may come in helpful for you as well. As a generator of wastes containing these certain hazardous chemicals, businesses or individuals would forever carry any associated liabilities resulting from these chemicals. The laws were comprised primarily of the Resource Conservation and Recovery Act (RCRA) and the Comprehensive Environmental Response, Compensation and Liability Act (CERCLA). Some of you may remember these days because suddenly you had to manage your solvent waste differently and you had to ramp-up your record keeping. It may have even seemed unfair that the federal and state governments were going to be holding you responsible for what contamination may have happened as a result of your business, or on your property, regardless of if you had anything to do with it. The fact was, and is, that RCRA and CERCLA ended up causing a standard of practice in the property and business transaction world that was intended to avoid those environmental liabilities from being transferred along with what was being sold. When a business entity buys a property, if a series of environmental inquiries aren’t performed properly, they could accidentally be held responsible for contamination in accordance with CERCLA. If the inquiries are performed correctly, the buyer may qualify for an exemption from those CERCLA liabilities. The first inquiry that is needed is called a Phase I Environmental Site Assessment (ESA). The Phase I ESA needs to be performed by a qualified Environmental Professional (EP), like an environmental consultant. Your consultant will follow a specific set of due diligence standards to look at environmental records and databases to determine what the sale property has been used for in the past, and what has gone on at surrounding properties to see if those activities could potentially have impacted the sale property. They will also come to do a site visit to walk around the property and buildings to see if any present operations may be potentially causing a problem. They’ll also need to do an interview to ask some standard questions about knowledge of environmental issues, etc. If they do find something during this process, they may have to put in their report that a Recognized Environmental Condition (REC) has been identified. If a REC is identified during the Phase I ESA process, then there need to be samples of soil, groundwater and/or vapor collected from the sale property to determine if an actual environmental release has occurred. The subsurface investigation process is called the Phase II ESA. If an environmental release is identified at the property, there will be additional investigations to gather more data. There needs to be more data to gain insight into the potential cost of cleanup so that the buyer and seller of the property can start talking about how the price is impacted, or even if the buyer wants to still buy the property. The cost estimating process will also need to take into consideration that the cleanup would be performed in a state agency program so that a regulatory closure can be received afterward. Here is the tricky part; due to the prevalence of environmental issues related to use of perchloroethene (PCE, Perc) in the dry cleaning industry, just the fact that a dry cleaner exists, or used to exist, at or adjacent to the sale property, is enough to trigger a Phase II ESA per the due diligence standards. At this point in the property transfer process, if you want to continue with the sale, there will definitely need to be sampling. The process can be stopped right after the Phase I ESA without any liability to the property owner, but that won’t get the property sold. This is a very uncomfortable spot to be in, I’m sure. Many of you know this for a fact. Putting the property sale process aside for a minute, when a business is being sold, a similar due diligence process is undertaken by the potential buyer. They will want to make sure that the business they are acquiring doesn’t have a current or hidden environmental liability that could hit the new owners at some point in the future and affect the value of their investment. Businesses are usually sold either as asset-only acquisitions, or stock plus assets acquisitions. The CERCLA liability that we are talking about is tied to the stock of the company and its owners. Because of this, many times business buyers will want to purchase just the assets (equipment, customers, brand, goodwill, etc.) of the company, and not acquire the property or stock. That allows the buyer to skim the cream off the top of the business, and leave the junk at the bottom, like the environmental liability, for you. This is a way, however, of getting the job done and keeping a good bit of value for your nest egg. Let’s talk about a couple of ways that you can preserve the integrity of that nest egg in preparation for the time when you are ready to cash-in and move on. First, there are a variety of insurance products available that you can purchase as protection against environmental liability. The insurance industry started specifically excluding coverage for environmental pollution from their general liability policies back in the mid-80’s, right around the time that the CERCLA responsibilities were being formed. However, environmental pollution liability can still be insured today as specific policies or riders if it needs to be a part of your calculation. If you think that these may be of interest to you, I encourage you to reach out to your agent or a representative for a carrier that is involved in the dry cleaning industry. An insurance company with a long history and knowledge of dry cleaners would probably be best. Another way to help preserve your nest egg against devaluation from contamination issues is, of course, those old general liability policies from before the mid-80s, when there weren’t specific exclusions. From my experience, this is usually the time period when environmental releases actually occurred anyway. Find them and assess their value. Even if there are no known environmental releases associated with your dry cleaning business, having these old policies in hand may be what is needed to convince a potential business or property buyer that they won’t be stepping into a problem that can’t be paid for if they close the deal with you. Those old policies are an asset to your business, so they should be part of your nest egg calculation. 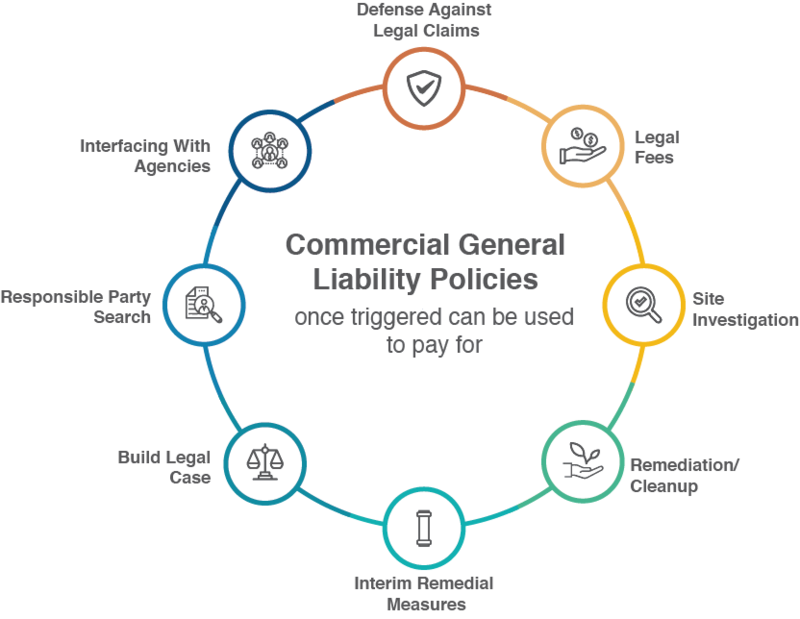 Once triggered historical commercial general liability (CGL) policies may be used to for legal fees, defense against claims, site investigation, remediation/cleanup, interim remedial measures, building legal case, potentially responsible parties (PRP) search, interfacing with agencies and prior costs be may be retroactively recovered. Find them and assess their value. Even if there are no known environmental releases associated with your dry cleaning business, having these old policies in hand may be what is needed to convince a potential business or property buyer that they won’t be stepping into a problem that can’t be paid for if they close the deal with you. Those old policies are an asset to your business, so they should be part of your nest egg calculation. Contact us so we can help you protect your nest egg.